I mentioned earlier that we pretty much stayed downtown during our stay in Los Angeles. Well, we weren't short of things to do while there. Our hotel sat in the middle of LA Live...which was basically an area where work meets play. On our last night, we ate dinner at the Yard House (a restaurant with really yummy pub food), which was a fun atmosphere since the LA Kings were playing next door at the Staples Center. 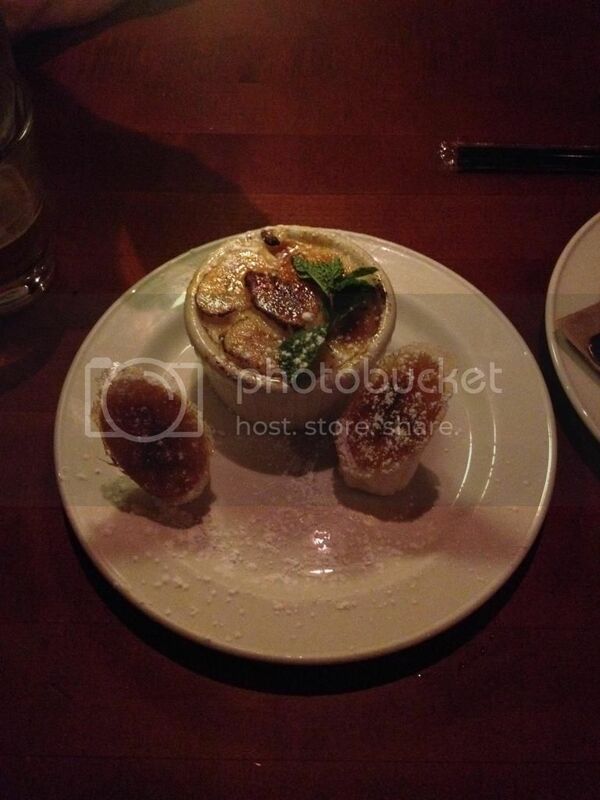 The place was filled with Kings fans and we enjoyed burgers and this banana creme brulee. 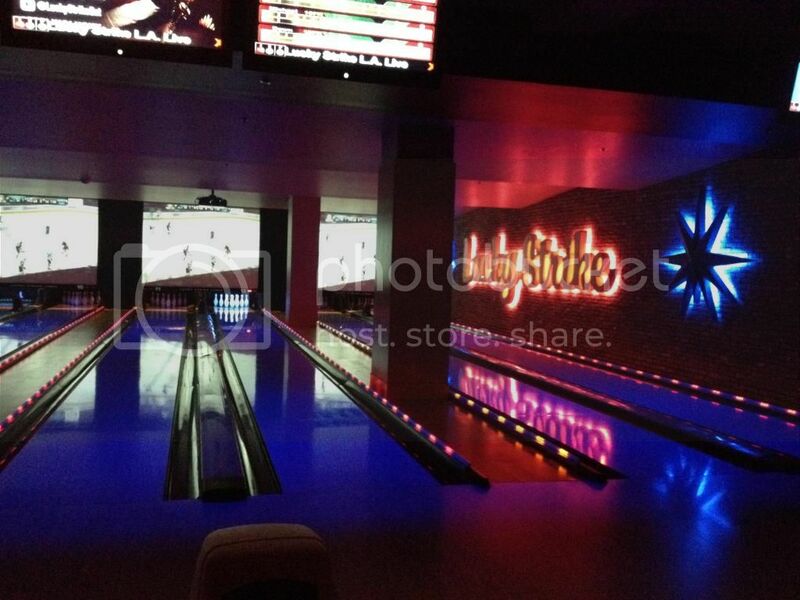 Afterward, we made our way around the corner to Lucky Strikes Lounge and Lanes. 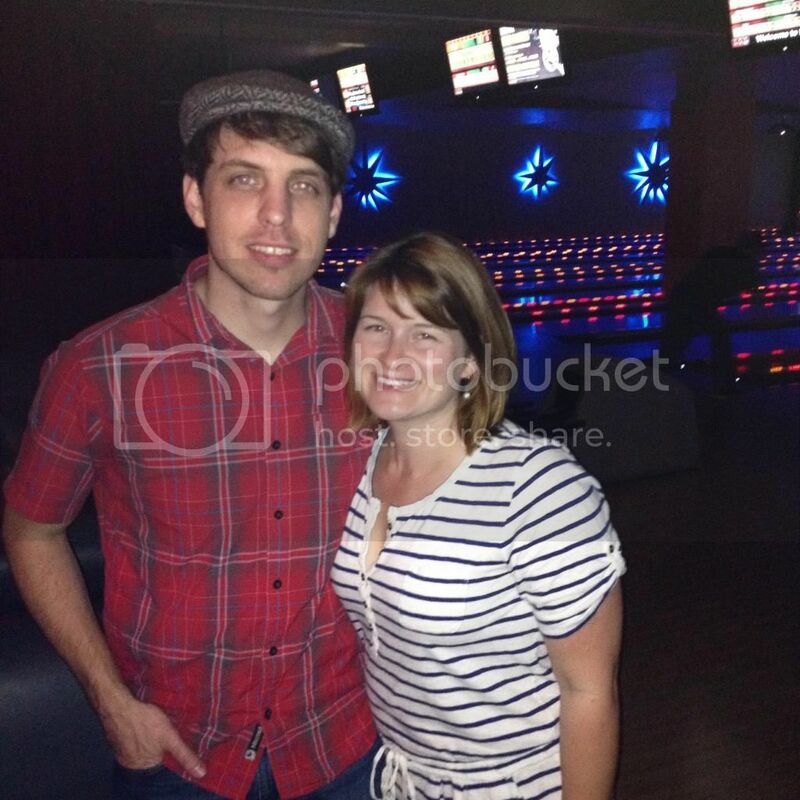 We bowled a few games with Paul and Raven, where I even won a game!! ...and that never happens! 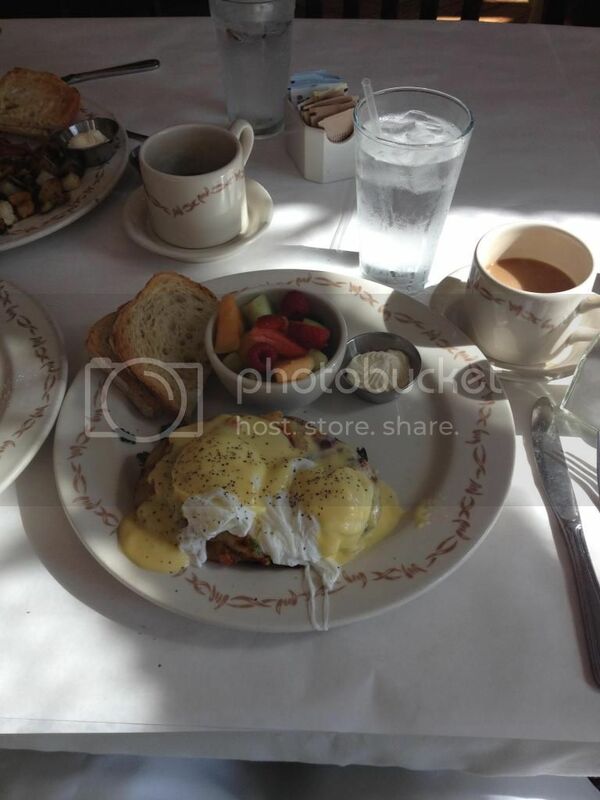 And then before heading out the next morning we had brunch at The Farmhouse of Beverly Hills. Michael and I joked that this was LA's version of a Cracker Barrel. The food was delicious, but definitely not CB. I had the Farm House breakfast that consisted of two poached eggs over a baked potato and spinach drenched in a hollandaise sauce. Yep, it was good.